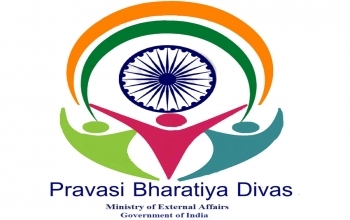 15th Pravasi Bharatiya Divas is being organized at Varanasi from 21-23 January, 2019 in partnership with State of Uttar Pradesh. This time, the participants will also have the opportunity to participate in Kumbh Mela at Prayagraj and Republic Day celebrations at New Delhi. 2. EAM and CM of UP jointly inaugurated the PBD website, on 15 September, 2018 thus commencing the registration process for participating in the PBD 2019. The registration will be open for 2 months till 15 November, 2018. The registration, program and payment details are available on the PBD website. 3. The link for the PBD 2019 website is www.pbdindia.gov.in. 4. Diaspora participants will also experience India’s rich cultural heritage and progress and innovation through Cultural Evenings and Exhibitions that are being arranged as part of PBD 2019. 5. Click on the link below to download the program.